REPORT: The Audi RS6 Avant and A6 Avant are coming to U.S. Okay, so let’s not get too excited just yet. But there’s a new report from CarBuzz that the Audi RS6 Avant, along with its more normal A6 Avant, will be coming to the U.S. market. Now, I have to calm myself down because, despite those words being aura nirvana, we’ve been let down before. Still, it’s incredibly exciting to hear that there may finally be an Audi RS6 Avant on American soil. 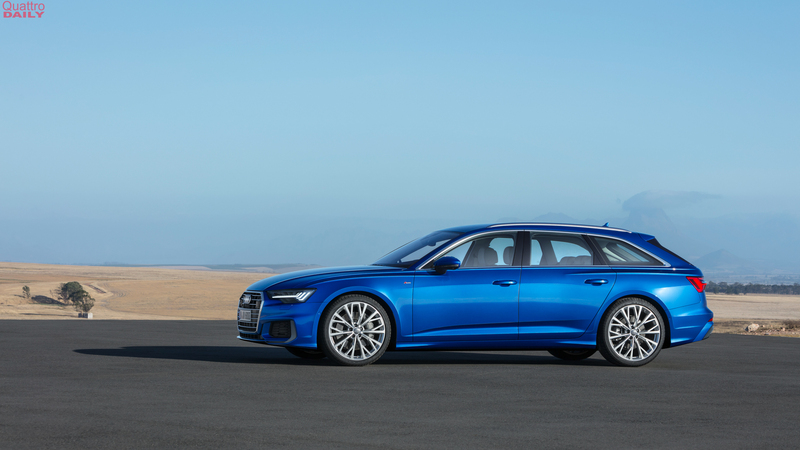 According to this new report from CarBuzz, both the Audi RS6 Avant and the regular A6 Avant will be available in North America by 2020. This is coming from one of their sources who spoke with not one but two Audi USA execs who’ve both confirmed this information. While we’d normally doubt such info, because fruitless rumors are common in this industry, we learned a few months ago that the Audi A6 Allroad was going to be sold here in the ‘States. So it seems as if Audi is going to offer all wagon variants of the A6 here. It makes sense too, as Mercedes-Benz sells the E-Class Wagon in America, so Audi will now have a car to compete. We don’t have any official information on the upcoming Audi RS6 Avant but it’s said to pack the same powertrain as the future RS7. That car is said to have a 4.0 liter twin-turbo V8 makes upwards of 650 hp while a second hybrid powertrain might be on offer, using the same engine with an electric motor to make 700 hp. So we can probably expect the same things from the RS6. This is incredibly exciting news and we really hope it’s true. If so, it would also give Audi the most high-performance wagon in the American market, as BMW’s M5 doesn’t have a wagon variant and Mercedes-AMG’s E63 Estate isn’t available here. We almost can’t believe it but it seems as if Audi has finally answered our prayers.